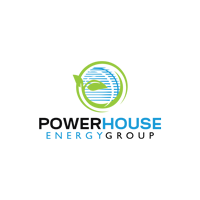 Shares in Powerhouse Energy Group PLC with EPIC code: LON:PHE has stepped up 6.32% or 0.03 points in today’s trading session so far. Market buyers have stayed positive during this period. The high for the period has peaked at 0.47 dropping as low as 0.44. The number of shares traded by this point in time totalled 2,967,462 whilst the daily average number of shares exchanged is just 10,227,886. A 52 week share price high is 0.73 some 0.29 points different to the previous business close and a 52 week low sitting at 0.27 a difference of some 0.17 points. Powerhouse Energy Group PLC has a 20 SMA of 0.45 and now the 50 day moving average of 0.5. Market capitalisation for the company is £8.49m at the time of this report. Share price is traded in GBX. Mcap is measured in GBP. This article was written with the last trade for Powerhouse Energy Group PLC being recorded at Monday, March 4, 2019 at 10:20:40 AM GMT with the stock price trading at 0.46 GBX. The stock price for Johnson Matthey PLC with EPIC code: LON:JMAT has stepped up 1.11% or 35 points in today’s trading session so far. Traders have remained positive throughout the trading session. Range high for the period has seen 3184 dipping to 3152. The total volume of shares exchanged so far has reached 64,688 with the daily average number around 558,058. The stock 52 week high is 3873 which comes in at 724 points difference from the previous days close and putting the 52 week low at 2574 which is a variance of 575 points. Johnson Matthey PLC has a 20 day moving average of 3126.25 with a 50 day simple moving average now at 3024.94. The market cap now stands at £6,162.10m at the time of this report. The share price is in Great British pence. Mcap is measured in GBP. 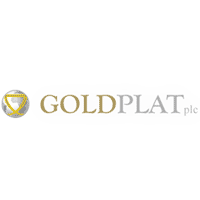 This article was written with the last trade for Johnson Matthey PLC being recorded at Monday, March 4, 2019 at 12:02:28 PM GMT with the stock price trading at 3184 GBX. Stock in Kingfisher plc with EPIC code: LON:KGF has stepped up 1.38% or 3.4 points during the course of today’s session so far. Traders have stayed positive while the stock has been in play. The period high was 249.3 and hitting a low of 246.8. Volume total for shares traded during this period was 816,605 with the average number of shares traded daily being 7,257,204. The 52 week high price for the shares is 356.4 some 110.9 points difference from the previous close and the 52 week low at 202.7 which is a difference of 42.8 points. Kingfisher plc now has a 20 SMA at 236.1 and a 50 day MA at 228.55. The market capitalisation is now £5,252.07m at the time of this report. The stock is traded in GBX. Mcap is measured in GBP. This article was written with the last trade for Kingfisher plc being recorded at Monday, March 4, 2019 at 12:02:28 PM GMT with the stock price trading at 248.9 GBX. Shares in Mediclinic International PLC ticker code: LON:MDC has moved up 1.57% or 5.2 points during today’s session so far. Buyers have remained optimistic throughout the session. The high for the period has reached 338.8 meanwhile the session low reached 328. Volume total for shares traded during this period was 363,590 whilst the daily average number of shares exchanged is just 1,180,921. The 52 week high for the shares is 712.4 equating to 380.6 points different to the previous business close and a 52 week low sitting at 293.1 making a difference of 38.7 points. Mediclinic International PLC now has a 20 simple moving average of 320.75 and now its 50 day simple moving average now of 324.05. Market capitalisation for the company is £2,485.25m at the time of this report. The share price is in GBX. Mcap is measured in GBP. This article was written with the last trade for Mediclinic International PLC being recorded at Monday, March 4, 2019 at 12:02:58 PM GMT with the stock price trading at 337 GBX. The trading price for MONDI/PAR VTG FPD 0.2 EPIC code: LON:MNDI has climbed 1.38% or 24.5 points during today’s session so far. Market buyers have so far held a positive outlook while the stock has been in play. The periods high has reached 1802.5 while the low for the session was 1773. The volume total for shares traded up to this point was 443,372 whilst the daily average number of shares exchanged is just 1,817,979. The 52 week high price for the shares is 2250 which is 473 points difference from the previous days close and the 52 week low at 1557.5 a difference of some 219.5 points. MONDI/PAR VTG FPD 0.2 now has a 20 SMA of 1881.88 and a 50 day moving average of 1820.72. The market capitalisation is now £8,814.07m at the time of this report. The share price is in Great British pence. Mcap is measured in GBP. This article was written with the last trade for MONDI/PAR VTG FPD 0.2 being recorded at Monday, March 4, 2019 at 12:02:33 PM GMT with the stock price trading at 1801.5 GBX. Shares of NMC Health PLC EPIC code: LON:NMC has moved up 3.63% or 100 points in today’s trading session so far. Traders have stayed positive throughout the session. The period high was 2862 and a low of 2762. The number of shares traded by this point in time totalled 208,448 with the daily average at 914,868. A 52 week share price high is 4376 which is 1622 points difference from the previous close and the 52 week low at 2508 which is a difference of 246 points. NMC Health PLC now has a 20 simple moving average of 2734 and now the 50 day simple moving average now of 2756.09. Market capitalisation for the company is £5,942.33m at the time of this report. Share price is traded in GBX. Mcap is measured in GBP. This article was written with the last trade for NMC Health PLC being recorded at Monday, March 4, 2019 at 12:02:15 PM GMT with the stock price trading at 2854 GBX. Click JMAT KGF MDC MNDI NMC PHE for the full archive.